Kathleen Moran, Kathy, is the head athletic trainer at Ocean City High School and is contracted from the Rothman Institute. Kathy grew up in the area before receiving her Bachelors of Science Degree in Athletic Training from The George Washington University in 2009 and Masters of Science Degree in Sport and Exercise Psychology from Temple University in 2011. With having a degree in both the physical rehabilitation of injuries, as well as, the psychological rehabilitation of injuries Kathy wrote a book entitled “Return to Play: Guide to the Mental Aspects of Rehabilitation for the Injured Athlete.” After completing her degrees she worked as the head athletic trainer for Sacred Heart High School in Vineland, NJ for two years before landing the job with Rothman Institute and Ocean City High School in 2013. Kathy now resides in Northfield, NJ with her husband and trusted canine companion. She loves working with the Ocean City athletes and treats each day as a new, exciting challenge. 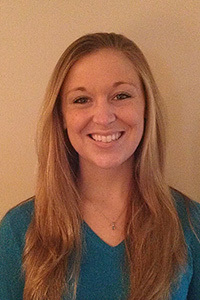 Ms. Marucci joins the Ocean City School District as the Assistant Athletic Trainer. She earned her Bachelor's Degree from DeSales University in Sport and Exercise Physiology and her Master's Degree from Moravian College in Athletic Training. Ms. Marucci works as an Athletic Trainer and Surgical Clinical Assistant with Rothman Institute. 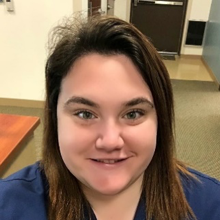 She holds a New Jersey Athletic Trainer License, CPR/AED Certification, with her New Jersey School Athletic Trainer License currently in process with the State.